Lokalise supports over 400 languages out of the box. Learn how to adjust language codes and settings. 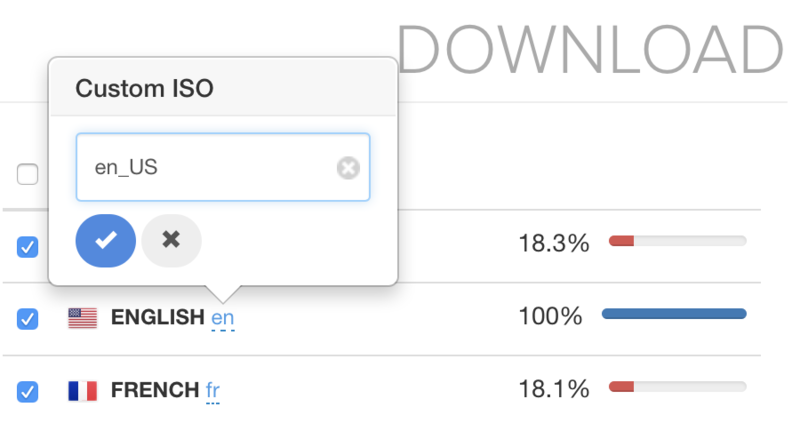 Lokalise supports over 400 languages, however you can configure your language ISO code as you prefer. There are two options to change language code. If you would like to make a global language code change, use this option. 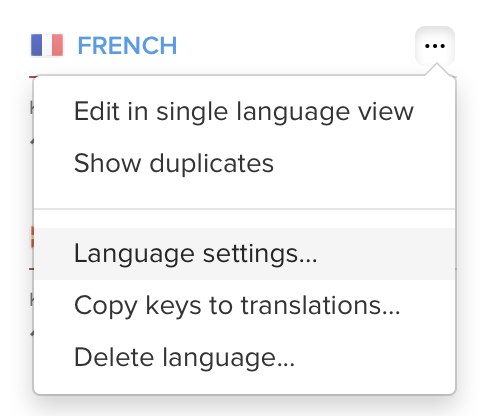 Navigate to projects dashboard, click three dots near language name and choose Language settings... from the dropdown menu. You can override global language code setting for each of the export file formats. Navigate to Download project page, select desired format and adjust language code in the list on the right side. Once adjusted, click Generate bundle to save the preferences.